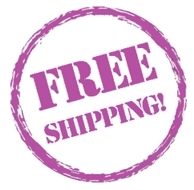 Just to let people know, Kersplebedeb Leftwingbooks.Net continues to offer free shipping on orders of $50 or more, anywhere in the world. Please note that this special will get you the cheapest mail delivery available — i.e. surface mail if you are overseas. Orders placed after December 11th will definitely arrive after December 25th. Leftwingbooks.Net distributes all Kersplebedeb Publications, all books published by AK Press and PM Press, as well as publications from many other left, anarchist, and communist publishers and projects. We are especially happy to carry both the Certain Days Freedom for Political Prisoners Calendar, and the Slingshot desktop and pocket organizers.